this is an easy and delicious homemade margarita mix...just add alcohol! 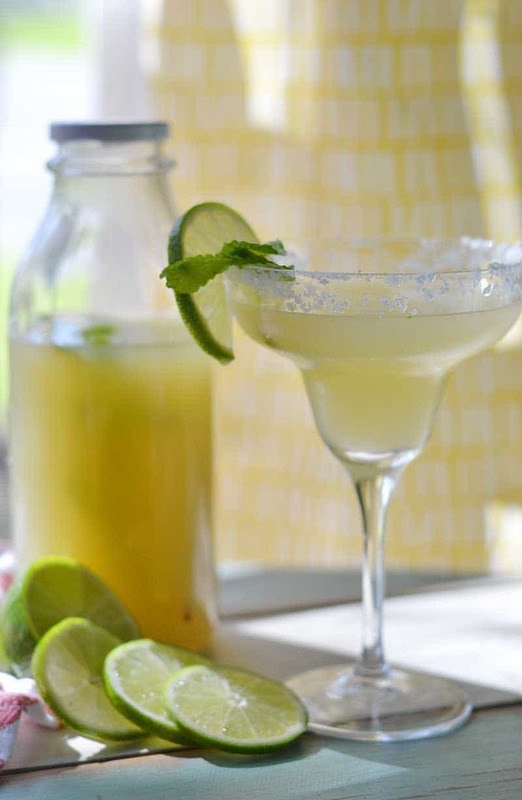 This is the BEST Margarita Mix recipe for making delicious and easy margaritas at home. Just add good tequila and triple sec to this mix! Perfect for a single margarita or an entire pitcher! A good and proper margarita should involve fresh limes muddled with sugar and mint, thrown in a shaker with ice and booze. Ain’t no one have time for that! So, I often turn toward purchased margarita mixes from the grocery store to keep it fast and simple. The trouble is, the purchased mixers are full of unnecessary sugar and colors AND ingredients. 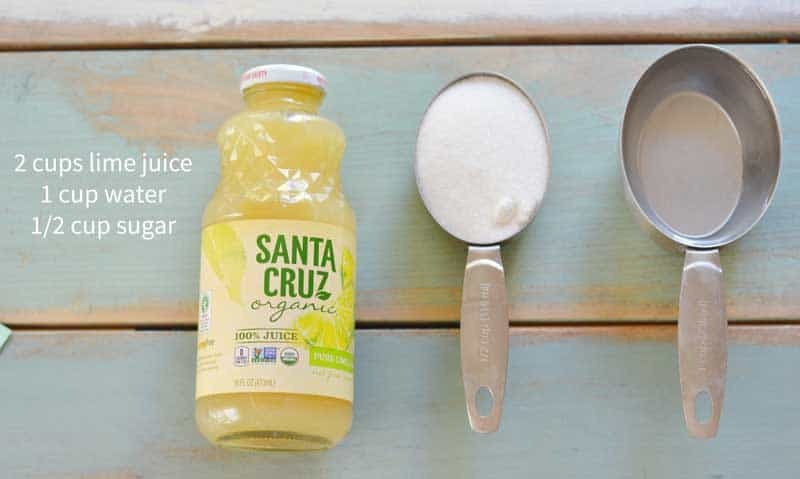 So, let’s make our own and skip the store bought mixes full of high-fructose corn syrup. This recipe makes throwing together a margarita for one person or 10 people super easy, fast, and utterly delicious! The best part of all… you can control the ingredients! No, really…simple and easy ingredients! But please don’t skimp on the lime juice. It’s tempting to get the cheap, inexpensive stuff in the green boggle but you just won’t get as good of flavor out of it. For a party…go ahead. But for yourself…do the good stuff :). Even better, use freshly squeezed juice! What makes this different than a traditional Margarita? 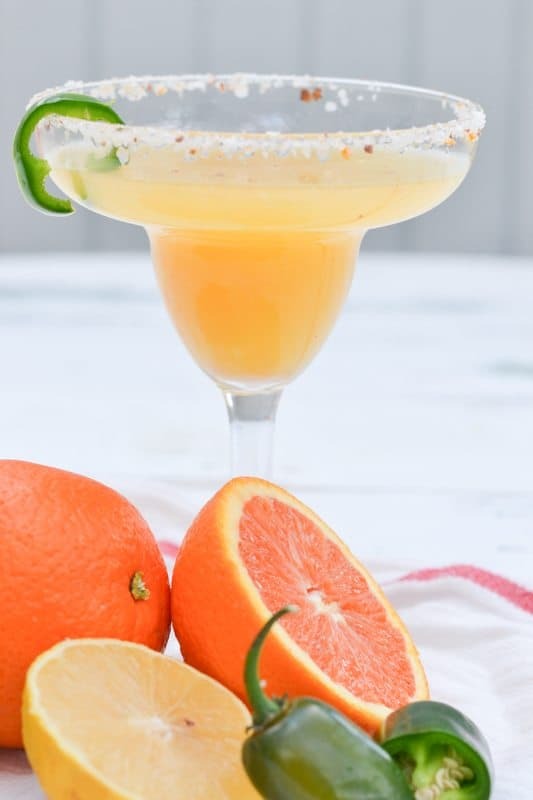 A traditional margarita uses orange liqueur, or orange juice to get that margarita flavor. 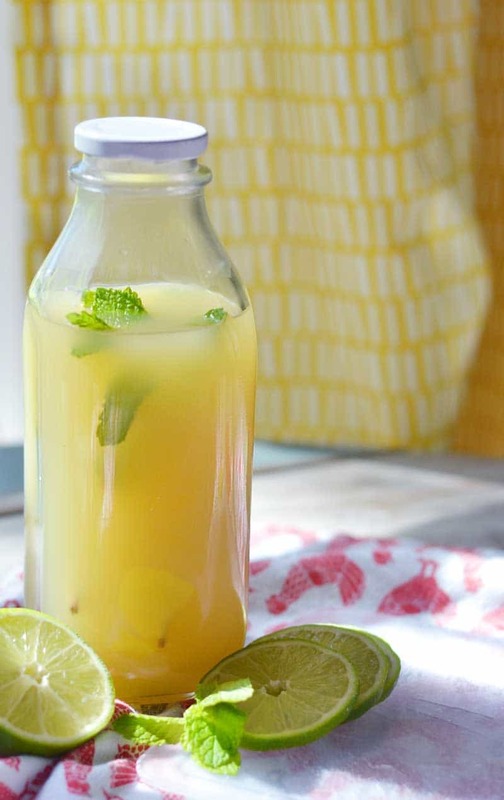 Instead, I’m just using fresh lime juice and lemon juice for an easier, brighter version. Try it…you’ll love it! 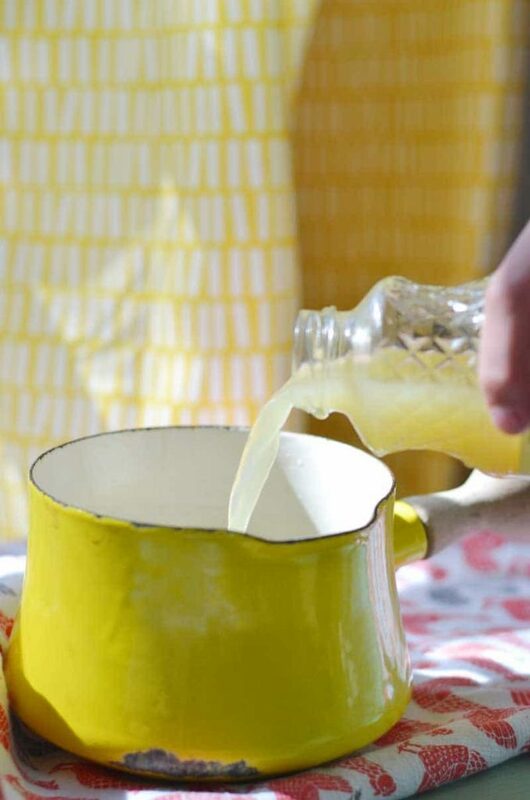 If you prefer the more traditional flavor, simply add some orange juice when you add your liquor. 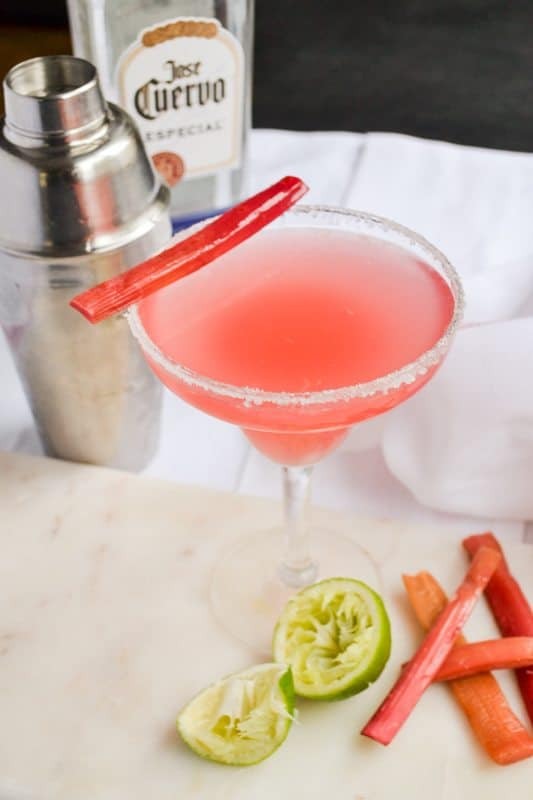 Can I make this margarita mix recipe sugar-free? I have successfully used coconut sugar and baking Stevia to make simple syrups (like in my homemade coffee syrups). Simply sub it out for the traditional sugar. I’ve had good luck using agave nectar, as well. 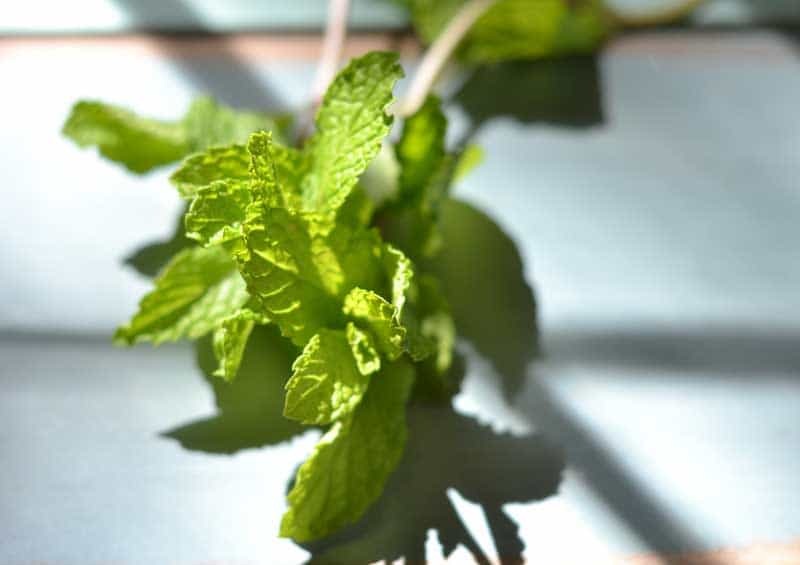 Fresh mint. I believe it makes or breaks a margarita in the best possible way. 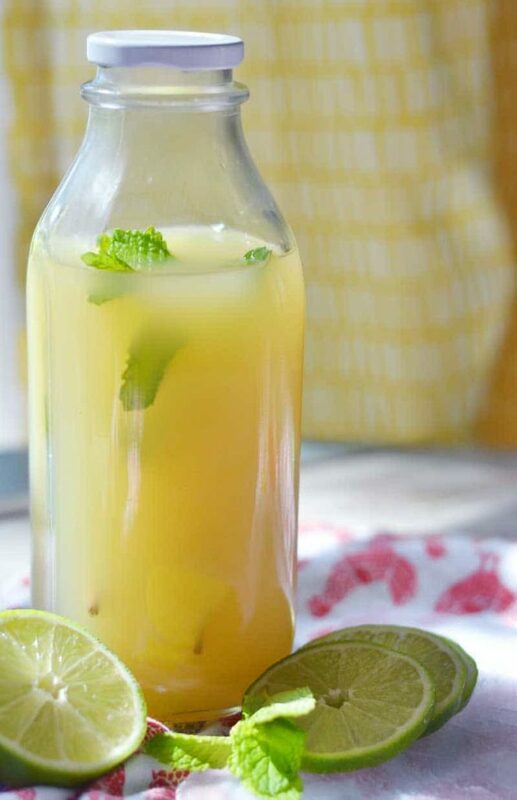 Fresh mint added to the simple syrup (a quick mixture of water and sugar) while it cools, as well as to the jar the mix is going to be stored in makes this margarita pop with flavor and brightness! Add 4 cups of chopped strawberries instead of fresh mint. Press the strawberries with the back of a spoon or fork to extract as much juice as possible while the syrup cooks. Pour through a strainer or use a slotted spoon to remove strawberries. And then you just stir, mix, and stir, mix. The end! It took all of 10 minutes and 4 ingredients to create this delicious party-saver. Score! 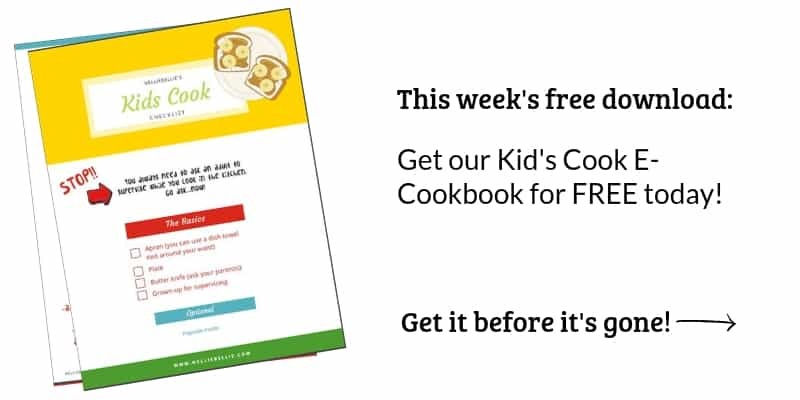 Store this in the fridge for up to a week. Honestly, it probably could last much longer but I’ve never had it get that long in my home without being used so I can’t be certain. A little Tequila and Triple Sec in a shaker with ice and you have a crazy good Margarita in only a wee bit of time. Truly, I don’t make margarita’s with a muddler anymore! This is so good and fast. 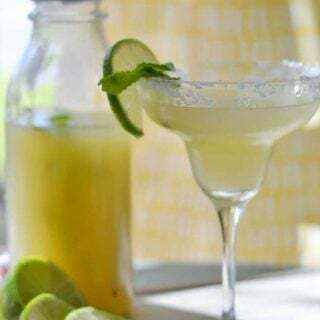 On a gorgeous summer day, you’ll be so glad to reach into your fridge for this homemade margarita mix and make yourself a quick, refreshing margarita! 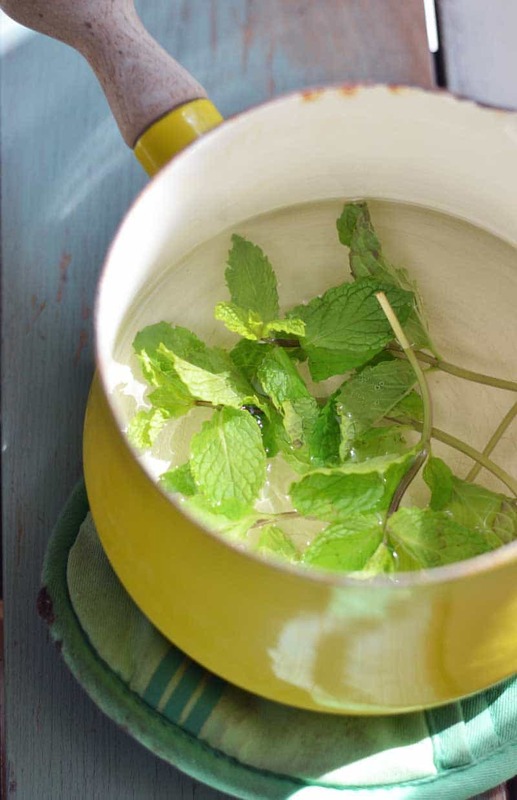 Add fresh mint bunches and let cool. 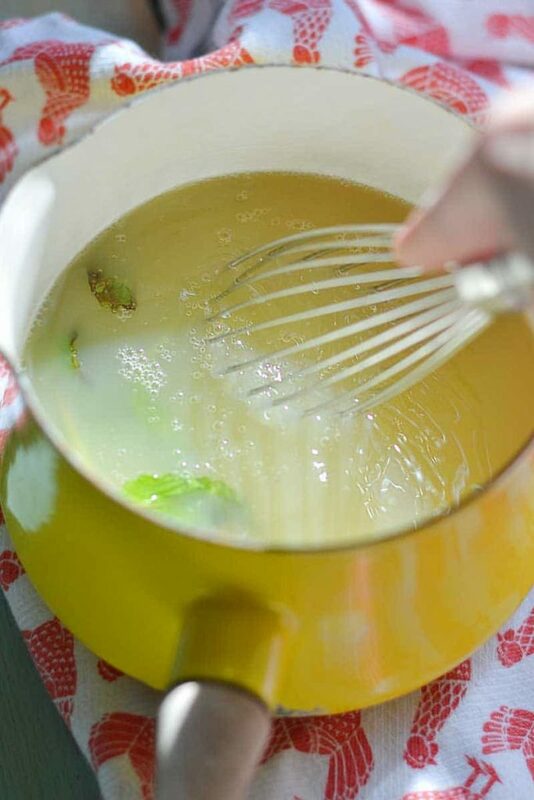 Add the lime and lemon juice and whisk well. 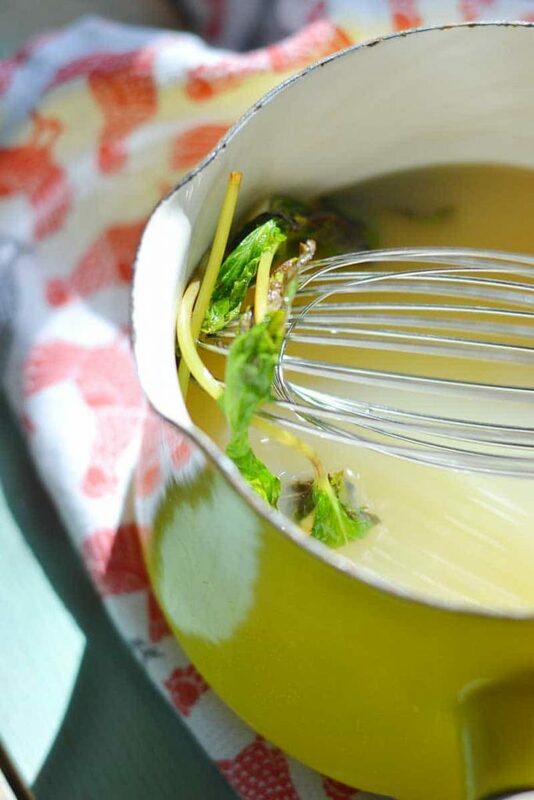 Pour into storage jar with fresh mint leaves inserted. Mix 1 shot of tequila, 1/2 shot of triple sec, 1/4 cup of the mixer (or to taste), and a sprig of fresh mint in a shaker. Fill the rest of the shaker with ice. 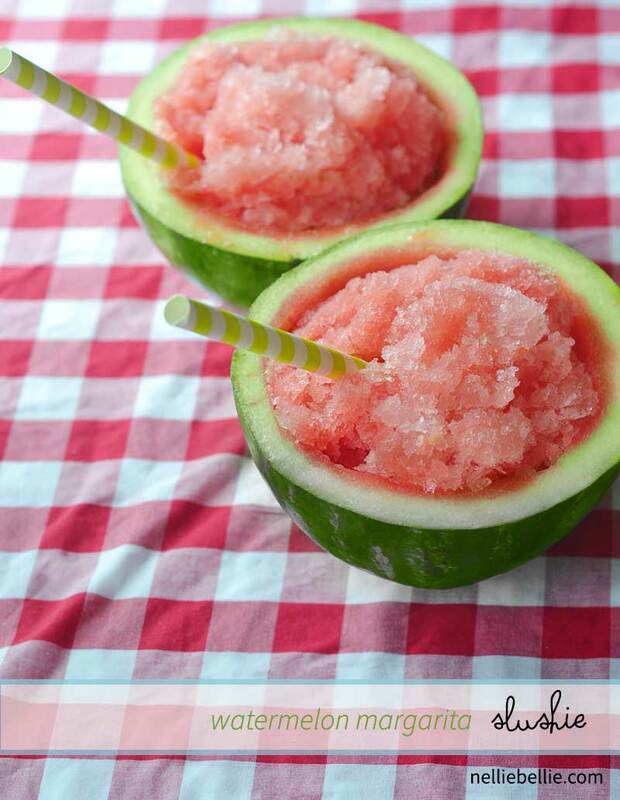 Shake for a while and pour into salt-rimmed margarita glass. I like my Margarita's on the tart side. You may wish to increase the sugar amount if you like yours sweeter. I would suggest you make the recipe as is the first time and add honey to the margarita, if needed, and then adjust for future recipes.